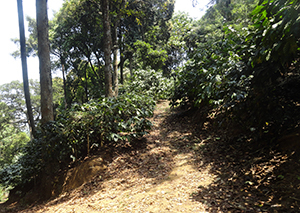 Nicely located 4.80 Acres of coffee plantation, close to Madikeri town, Coorg. Good yielding plants, Flowing Water stream, Well connected. Perfect for holiday homes,Cottages , etc.Eco tourism.